We all want our workplaces to be havens from conflict, a refuge from the strife of the outside world where we can work together in harmony toward shared goals and objectives. In an ideal world, workplaces could be the model for the rest of society. But are they? The reality is that workplaces are a melting pot, probably more diverse than the social groups we interact with and the neighborhoods we return to at days end. • Can we all get along at work when the world outside is swirling with controversy? • Can we hold those hot-button issues at bay and get our work done with people who may think very differently from ourselves? • Can we find a way to discuss issues in a civil, empathetic and safe way as a way to open minds and build bridges? Civility is linked to the Latin word civitas, which meant “city” and “community” and gave us the word “civilization.” The word itself suggests a larger social concern. When we’re civil, we’re members in good standing of a community, we’re good neighbors and good citizens. We have an active interest in the well-being of our communities and a concern for the planet we inhabit. Choosing civility means choosing to do the right thing for others, for the “city”. The breakdown in civility begins when people start to believe they’re the center of the universe, rather than a cog in a big wheel. The seeds are planted when people start showing up late, blame others, fail to say “thank you”, or demonstrate a lack of sensitivity. Attitudes of “I don’t care what you think” or “That’s just how I am – deal with it” can have a ripple effect on others and turn workplaces into an “every man for himself” mindset instead of “we’re all in this together.” Civility teaches that every word you say and every action you take impacts others and care should be taken to make our “city” a pleasant and productive place to be. So what can we do to make our workplaces more civil and the world a better place? Take responsibility! When you’re professionally responsibility, you take responsibility for the work you produce. You arrive on time, meet deadlines, and pull your weight on projects. You listen well and follow through. You send clear and unemotional emails, leave intelligible voice mails, and stay “present” on phone calls. It also means you do what you can to advance the company brand and make your organization successful. You do more than what it simply required. Personal Responsibility means you take responsibility for yourself and your actions. You don’t blame or bash others and you admit your mistakes. You don’t yell, make derogatory comments, or spread gossip. You clean up after yourself in break rooms and bathrooms. You do the right thing even when no one is watching, like refilling paper trays, starting a new pot of coffee, or throwing away food leftovers. Those who display personal responsibility demonstrate a high level of emotional intelligence and personal integrity. Social Responsibility is the type of responsibility where you help others. Do you mentor, support, inspire, coach, encourage, and show compassion? If you’re a supervisor, supervise. If you’re a manager, manage. Are you a leader? Lead! Jump in and do what you can to help those around you grow and succeed. Take responsibility – and our workplaces and world will be better because of it. 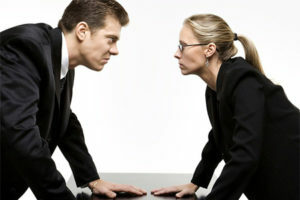 Incivility a problem in your workplace? Our full-day Civility in the Workplace workshop can help. Contact www.theedgeexecutivecoaching.com.